Pico Dual is a compact profile dual 18650 mod with a powerful 50A/200W maximum output. It features a new cell balancing trickle charge system and delivers a maximum charging current of 1.5A for quick charge capability when using the Avatar quick charger. Moreover, the new and innovative RC adapter will convert the Pico Dual’s 510 connection into a USB output for power bank mode. With top filling solution, hidden airflow control and detachable structure, the MELO III Mini fits the Pico Dual perfectly. 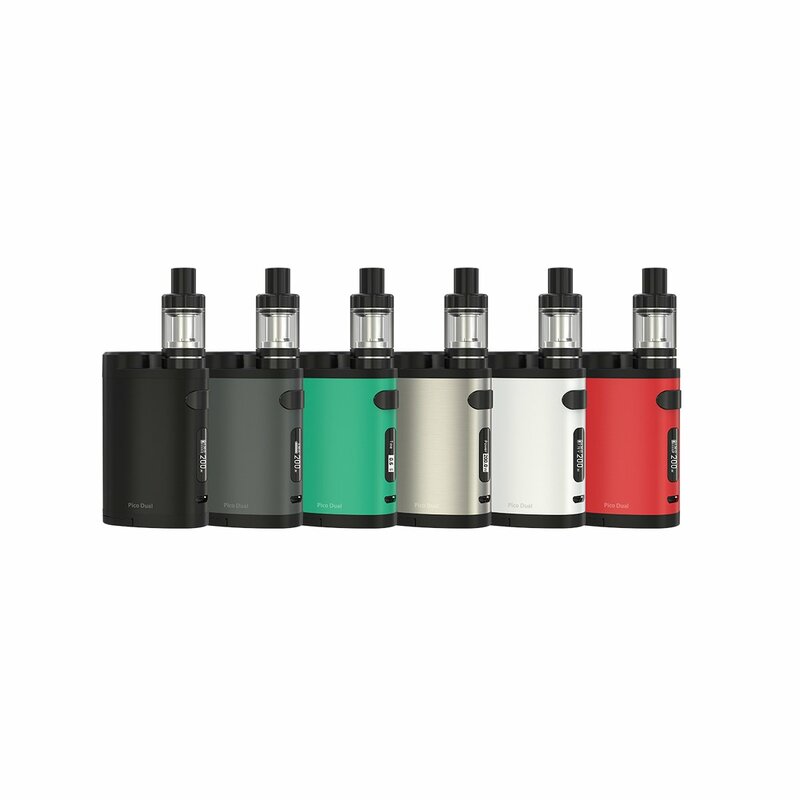 The Pico Dual has a compact size among those box mods that are powered by two replaceable 18650 batteries. Compact yet still powerful, it is capable of outputting 200W of power. The Pico Dual retains the bottom design with ventilation holes and adjustment buttons of original iStick Pico but changes the battery cover to be on the bottom as well. Preheat function allows the device to quickly heat up the coil at a higher wattage, providing you with a nice vaping experience. Pico Dual also has four switchable display interfaces: Puff interface, Second interface, Voltage interface and simplified interface, allowing you to choose the interface you are most accustomed to. A cell balancing trickle charge system is newly introduced into the Pico Dual to bring two batteries to the equal level charge, which also ensures high security in charging.